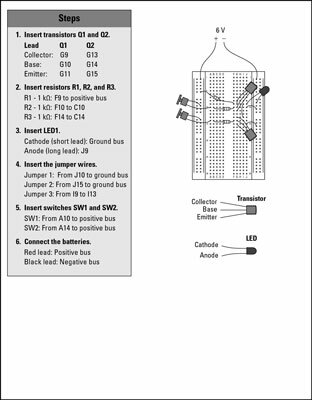 You can build a two-transistor NOR gate by following the steps outlined in this project. The project uses normally open pushbuttons to control the input circuits. When power is applied to this circuit, both inputs initially will be LOW, and the output will be HIGH. Pressing either one of the switches causes that switch’s input to go HIGH, which in turn causes the output to go LOW. 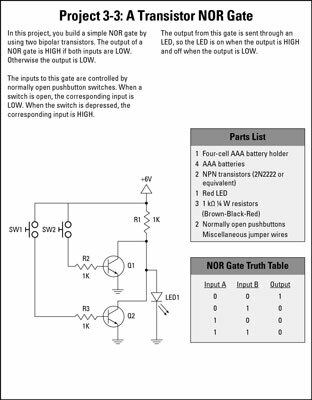 A NOR gate is an inverted OR gate. If at least one of the inputs is HIGH, the output is LOW. If both inputs are LOW, the output is HIGH. 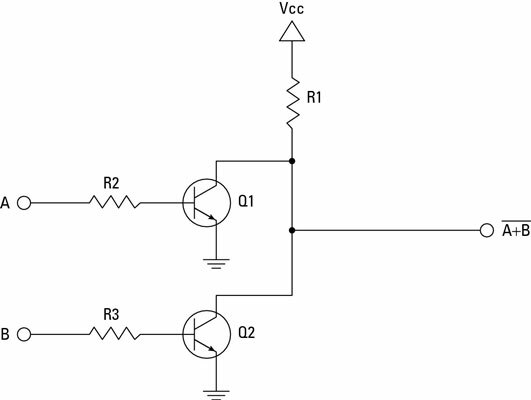 This circuit is similar to an OR gate circuit, except that the output is connected to the collector of both transistors and the emitter of each transistor is connected to ground. 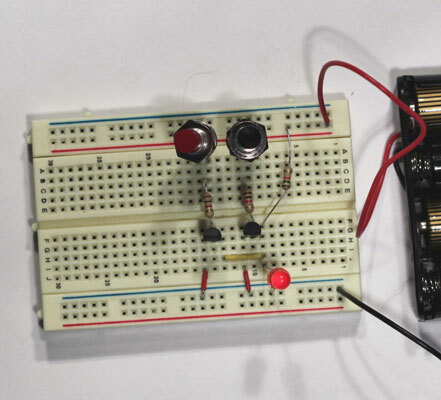 If either one of the transistors is on, current from Vcc will be short-circuited to ground, bypassing the output. As a result, the output will be HIGH only when both inputs are LOW. If either input is HIGH or both inputs are HIGH, the output will be LOW.